Book Description: The remote resort of Fjallbacka has seen its share of tragedy, though perhaps none worse than that of the little girl found in a fisherman’s net. But the post-mortem reveals that this is no case of accidental drowning! Local detective Patrik Hedstrom has just become a father. It is his grim task to discover who could be behind the methodical murder of a child both he and his partner, Erica, knew well. He knows the real question – and answer – lies with why. What he does not know is how this case will reach into the dark heart of Fjallbacka and the town’s past, and tear aside its idyllic facade, perhaps forever. I have to admit that I was a bit skeptical at first when I started The Stonecutter as to if I would enjoy it or not. I had previously tried several times to listen to the first book in the series and kept getting distracted – so I didn’t know if it was an issue with the author, the audio, or the fact that I was trying to listen to it at work. And normally, I am a stickler for listening to series books in order, especially ones like The Stonecutter where many of the same characters re-appear and the relationships develop through-out the books. But after talking to one of my friends who had read all three books in the series, she told me that I should be ok to listen to The Stonecutter without too much trouble and then went on to say that it was her favorite in the series to date. I’m glad that I listened to her advice and now I am debating going back and trying to listen to the previous two, because I am curious enough about the some of the things that were mentioned in this third book to know the context in which they originally occurred. There were lots of twists and turns presented during the book, and at one stage, I thought I had the who done it, narrowed down to one of three people, but to my surprise when I did finally figure it out, it wasn’t any of the people I was expecting. Läckberg did a great job of laying a foundation of multiple people playing a role in the crime where it could have easily have been any one of several people. I also liked the fact, as with other Nordic authors, the case isn’t presented as a wham bam solve it in one day, but rather it is extended, many different people get questioned and mistakes are made. I also found that the transition between the past and the present flowed relatively smoothly once I got used to it and I could easily see that the chronological progression of the sections from the past meant that it was going to be significant in the ultimately solving of the crime. 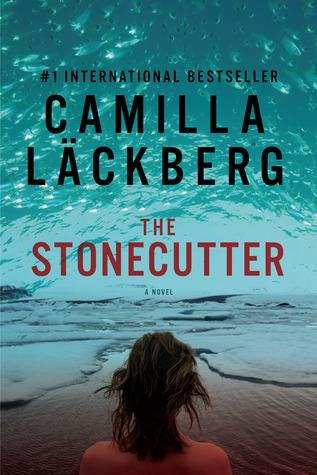 Unlike many of the books that fall within the Nordic Noir genre, Camilla Läckberg tends to place a bit more of a focus on the character interactions and relationships, as well as the solving of the crime. At times this was a bit distracting and it felt to me like everyone had some kind of psychological issue (and that I could have been reading symptoms in the DSV-IV). But ultimately many of these issues ended up playing kind of a role in the development of the crime and the eventual solving of it. I wasn’t necessarily a fan of some of the secondary characters and felt that there was some extraneous plots going on (Erica’s sister for one), but with how the book concluded, I think those are going to play a role in later books in the series. This is the first time that I had listened to a narration by David Thorn (aside from my failed attempt with The Ice Princess which didn’t have anything to do with him as I reflect back). But it won’t be the last. For the most part, I thought he did a good job with the various voices, in particular the male characters. His female voices tended to be weaker than the male ones but that didn’t really surprise me at all. He managed to maintain the continuity of the narration through-out and it was an easy listen. The production by Highbridge Audio was really good and I didn’t have any complaints about the quality. Just one of my tiny pet peeves is that I like it when CD’s end at the end of a chapter because I routinely try to finish listening to the current chapter on my commute to work in the mornings (or afternoons) and have been known to sit in my car to finish up one – but that is really hard to do if the chapter doesn’t end with the CD – but that is probably just a personal pet peeve of mine and may not bug others. Overall, I’d give the story a 3.5 and the narration a 4.5 – so an overall score of 4 stars for the book. I’m looking forward to re-trying the earlier books in the series and seeing where she goes in the future. I snagged this one when it was cheap & read it while I was on a camping trip. I liked the character development a lot, but I thought it dragged on a bit.